HUGE MPG'S! ISHIFT TRANS! LIGHTWEIGHT! 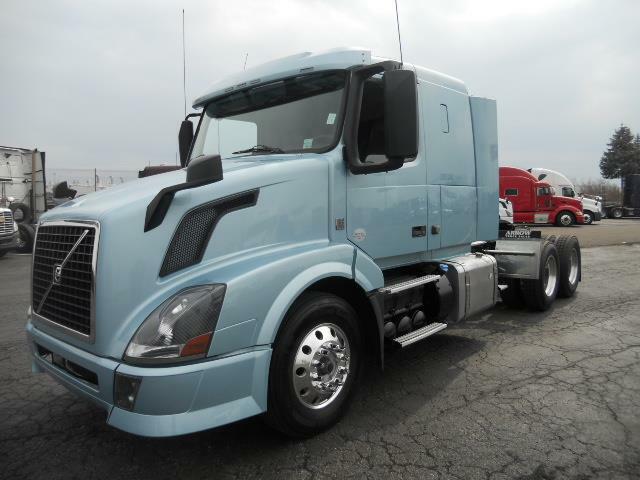 Sharp & lightweight VNL 430 (smallest sleeper Volvo makes).VED13 economical and bulletproof engine.Volvo I-SHIFT 12 speed auto transmission gets big MPG's!Fleet maintained and in excellent condition.90 Day Power-train warranty included in this price!DOT ready, PM serviced & professionally detailed too!Easy "IN-HOUSE" financing & credit for all profiles.Extended warranty avail w/ DPF/Aftertreatment coverage.Call ASAP, as these small sleepers are a great alternativefor owner ops who would like a daycab with some extra room.They work great for those who need to take a nap or justwould like the option for log-books to sleep but sometimesneed a sleeper truck but sometimes dont! they are Hybrids!